I suppose one of the most interesting instances in your life as a writer was the day you found your own poetic voice. Was it difficult to find that voice? How would you describe it? My poetry comes from live music and the acetate records of Los Gaiteros de San Jacinto, from the porros and gaitas played by Lucho Bermúdez or José Barro, from cumbia music broadcasting from a transistor radio that played on Sundays at Marbella’s beaches, close to Cartagena’s old walls. It was the music I took everywhere inside my cap, when I was a teenager and my cousins and I went to catch invisible fish, fish impossible to catch, over the Román Bridge or at the Fish Club at El Pastelillo. There was a mellow sea smell, a smell of saltpeter bay that hit my ears after I left the cold Bogotá’s plains, where my family had been forced to move out of financial necessity. How was that change? What happened? I remember when I was eleven, a four motor plane took off from Soledad airport in Barranquilla, and in two hours of suspense for a child, it set me and my siblings and my parents down at the airport on the Bogotá Plain. In the middle of a gray sky and a drizzle that abolished the memory of a disappeared sun, my senses began to perceive the backside of the tropic, the Andean height, where the mountain chain made the weather cold. The capital city was inhabited by blushing women and men dressed in black suits, vests, hats and umbrellas. More than that, Bogotá was inhabited by a grandiloquent silence that gave other rhythms to the words that I brought with me. The words I received in Bogotá had a different musical scale, a different timbre, a smell of incense and gospels from the mass of the Santa Teresita neighbourhood church, and the presence of unknown tubers like potatoes and the unexpected galloping of horses from funerals, marching over Caracas Avenue toward the Central Cemetery. After a while, I came back to the coast of Colombia. Leaving Bogotá to return to the Caribbean was like leaving Santa Teresa’s peace to encounter a chiva (a type of bus crowded with people, animals and anything you can imagine), feeling the warmth of shouting and the fighting voices of comadres, two old ladies speaking in verse. It was like leaving the hendecasyllabic sonnets behind for Spain’s Golden Century poets. There, when I talked to these two Afro-Colombian comadres who were going to the market to buy plantain, yucca or yam, I noticed there was a story, the very same story which was preceding every single poem written by Lope de Vega or poems by Marquis of Santillana. For instance, when the Marquis wrote: “Remind me of my life, you saw my departure and farewell is so sad.” What sadness in the middle of a great happiness! To leave, to permanently depart. That was my uprooting voice. Does that poetic voice change when you work on fiction? For instance, for the writing of your novel La risa del cuervo (The laugh of the raven) did you have to put a distance between your poetic voice or did you introduce it into the novel? My poetic voice, when I write fiction, has the same vibration to its string. I think that is the same sensibility that Pierre Guiraud speaks about when he explains the sign, and the same that Marcel Proust proposes when he mentions the tea and the madeleine. There is always a remnant of images that never leaves our minds. At the slightest evocation they reappear. The genre doesn’t matter; it is the same impulse to communicate. How you say something is your style, like a blackbird on a small tree branch singing about the world it sees and the world it remembers. In your novel and also in your poetry, for instance in the books Indiada and Simulación de un reino, both included in your anthology Simulación de un reino from 2014, there are poems written in Old Spanish, similar to that written in the 15th or 16th centuries. I mean, in your poems you build a context and at the same time the language dwells in that context. I wonder if history, in your work, is a source of creativity or if it is a malleable material. Every second that passes is already history. What is written is already history. I used to read Don Vicente Blasco Ibañez when he described a journey, a voyage of a couple of teenage lovers in a ship travelling to discover America, and it felt like history; or when I read Francisco de Quevedo mocking Luis de Góngora’s nose and that is history, the nose of the Andalusian poet was the history of the Jewish people. And when I read the Spanish Chronicles of the Indies it allowed me to feel that the borders between literary genres were not clear. I read in those books a mix of fiction that easily wears the shoes of narrative or the chef’s hat of poetry. Father’s Joseph Gumilla’s book El Orinoco ilustrado y defendido (1731) is a classic where the Orinoco River pierced all my expectations. There I found a history, those enlightened words, those strange events, and that form, that accurate and tangled way of seeing the world. Why do we have to forget that first glimpse of America, its inhabitants, trees, animals or cosmology? Every time I read the Spanish Chronicles of the Indies I understand that the world cannot be other than that place where manatees were mistaken as mermaids, where it was necessary to re-baptize the world because the Spanish language they brought in their ships did not included enough signs to understand where they were. Camilo Castillo-Rojo is in his first year of a PhD in Hispanic Studies at University of British Columbia. He studied an MFA in Creative Writing at the University of Texas at El Paso, and taught Creative Writing at the Universidad Central in Colombia for the last four years. 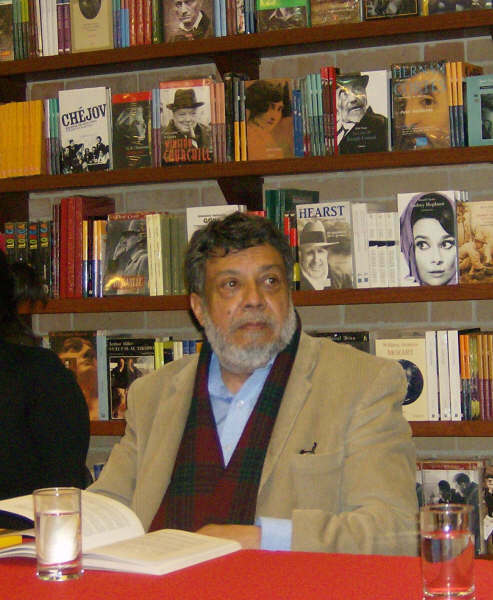 He is interested in the writing process, particularly that of Colombian authors. Some of his short stories have been published in Rio Grande Review magazine and some articles in Hojas Universitarias magazine. He lives in Vancouver with his wife and son.